The TMS320C6713 Laboratory Board (DSP 6713) (DSK) is a low-cost development platform designed to speed the development of high precision applications based on TI's TMS320C6000 floating point DSP generation. 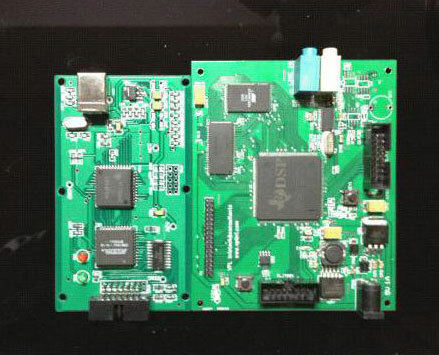 The Laboratory Board (DSP 6713) uses USB communications for true plug-and-play functionality. Both experienced and novice designers can get started immediately with innovative product designs with the DSK's full featured code composer studio IDE and eXpres DSP software (optional) which includes DSP/BIOS and reference frameworks. All users will benefit from the express DSP for dummies textbook featured for the first time in this DSK.